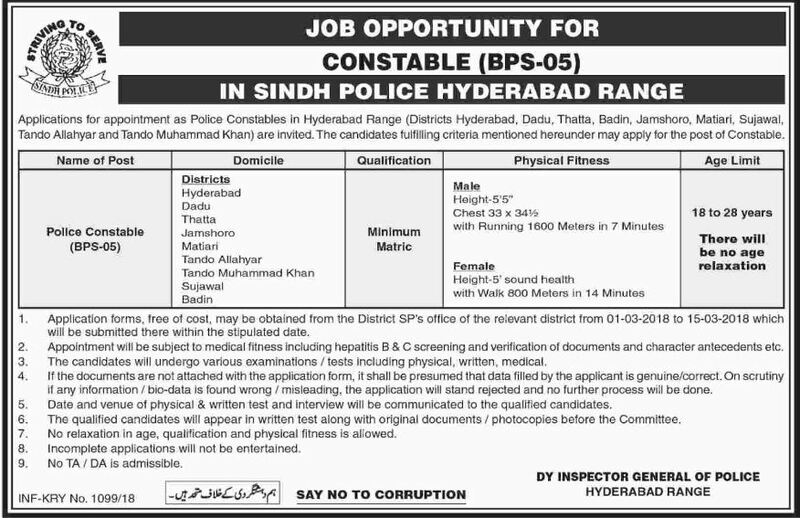 Government of Sindh has announced New Jobs in Sindh Police as Constable Published in Daily Dawn Newspaper 27 February 2018. These Jobs are announced for Hyderabad Region District only. Applications form for Sindh Police Jobs 2018 are available from the District SP’s Offices of Concerned District worth free of cost. Candidates are advised to fill their application form carefully, any given wrong information, candidates himself will be responsible.